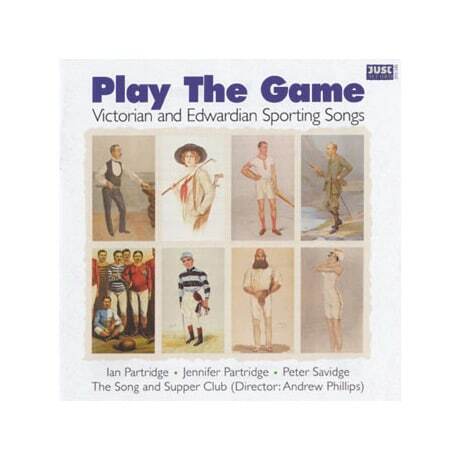 Perfectly evoking the drawing rooms and music halls of the late-19th and early-20th-centuries, these uniformly jolly songs about the leisure activities of the British public are performed with relish by tenor Ian Partridge and his sister Jennifer on piano, baritone Peter Savidge, and the male vocal octet the Song and Supper Club. "The Eton Boating Song" may be the best known tune here, while the remaining 16 include "I Won Her Heart at Billiards," "Caddie," "Our Football Supper," "Cycling Song," and "A Hunting Morning," with lyrics by Arthur Conan Doyle. The diverting 31-page booklet features period illustrations, lyrics, histories of the songs, and biographical information on the composers and lyricists.